Packaging of food items and beverages should look grabbing, striking, appetizing and tantalizing, because the consumers have their needs with them and without getting attracted towards the packaging of an eatable they would never buy it, or give it a thought. Therefore in order to run a race in the market and corporate world, one has to think and act professionally, choose to be different and creative while you design a project because its appearance will build up a cooler impression. 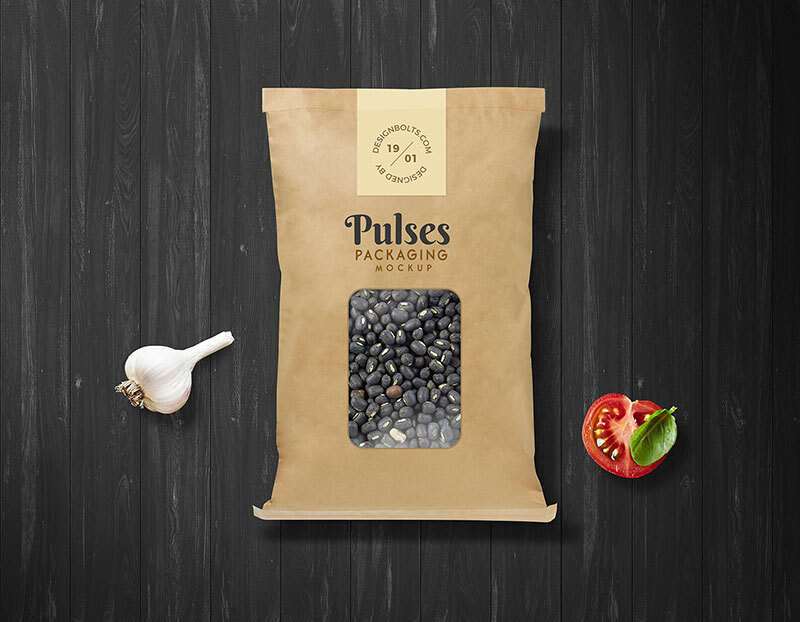 Well down here I am putting forward free pulses Kraft paper pouch packaging mockup PSD in which you can insert in your own design elements to create a packaging mock up design mockup for your client. This paper pouch is usually used for cereals, pulses, beans, grains, seeds and food of that sort. Check out this mockup on board which is made to serve you as designers always seek handful of freebies ready to be used in one go. This mockup will give your client an insight that how his food item’s paper pouch will look like after getting printed. For more amazing design variety stay tuned to the blog and never get disappointed. Here we go! I am after mockup template for specific packaging sizes if you can help create one? Please let me know. What would be the costs as there would be 3 different sizes? 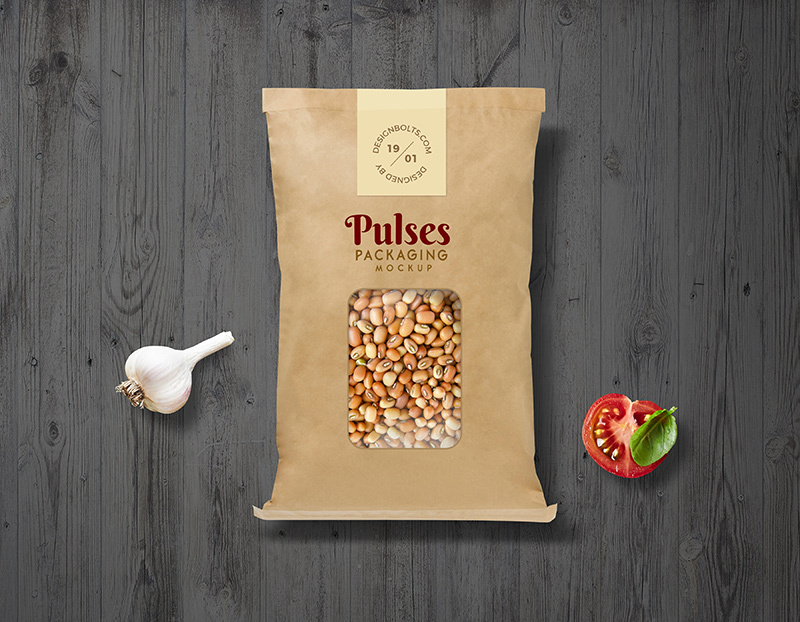 Much similar to “Free Pulses Kraft Paper Pouch Packaging Mockup PSD” but with a larger window and a plastic material.